Another reason you may be anxious is that you have no idea how the rest of your pregnancy will go, and you are going to be worried that something could go wrong. That is also a normal concern, and just remember that the odds are with you that things will go smoothly if you do what you can as well to maximize your chances of having a healthy pregnancy and baby. You may also be worried about that drink you had last week, or that sushi you ate, or that inhaled second-hand smoke from earlier causing harm to your unborn baby. There is no need to worry because none of that will hurt your unborn baby, especially if it was a one-time thing. And, unfortunately, there are some things that you don’t have control over, but you certainly can make sure that you consume the healthiest foods that you can in order to maximize the chances of your baby being healthy and strong. And, even if you are facing some morning sickness at this point, don’t worry too much because in the first trimester, you are not expected to gain weight and the unborn baby is feeding off of the leftover follicle which is the corpus luteum at this point. Chances are by the time the placenta is in full force, you will feel much better and your appetite will return. If not, then you will need to get extra medical attention. Because in the second trimester you will need to consume an extra 350 calories and in the third trimester you will need to consume an additional 400 to 500 calories. You need that extra energy to help support the unborn baby and for yourself! However, more often than not, the appetite returns and is even increased by the time you enter the second trimester. It is always advisable to work with a dietician that has plenty of knowledge or better yet, specializes in fertility and pregnancy even from the moment that you find out that you are pregnant. What are the most healthy foods to eat when pregnant? And, in the meantime, you can most definitely learn about the foods that you do need to consume in order to keep your baby growing and healthy during the pregnancy. Let’s go over the very important ones right now. 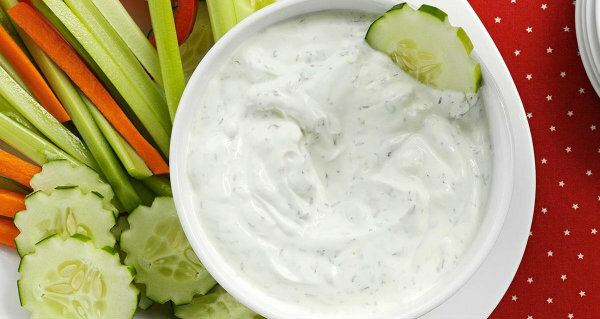 Dairy products top the list of healthy foods to eat when pregnant. You absolutely need to consume full-fat dairy products during your pregnancy. The extra fat will not cause you to be unhealthy. In fact, it is the opposite, You need the fat to function and the fat is important for the brain development and hormone regulation in your unborn baby. Dairy products provide you the protein and calcium that you need so that your bones stay strong during your pregnancy. And, it is also a great idea to eat Greek yogurt because it provides the probiotics that you need in order to keep your gut health intact. In fact, it is a good idea to take probiotic supplements regardless because it will reduce your risk of many pregnancy-related complications, and will also reduce your chances of getting infections. If you are lactose intolerant or if you don’t like milk, you can always take probiotics and calcium supplements with Vitamin D. And most cheeses are safe to eat during pregnancy, especially if they are hard. And, the only dairy products to consume must either be pasteurized or if they are unpasteurized, then it is crucial to cook it and heat it up. Unpasteurized dairy products can be a host to many harmful bacteria such as listeria, and listeria can harm your unborn baby. That said, if you really want to have some goat cheese which is not pasteurized, then you will need to heat it up and cook it thoroughly so that any trace of bacteria is killed off. And, most hard cheeses are delicious. You can always enjoy a slice of cheddar or mozzarella cheese, and you can even melt it onto a sweet potato if you like! That is because sweet potatoes are a very healthy food to eat as well. Sweet potatoes are a fantastic food to eat during pregnancy. They are full of so many important vitamins and minerals that you need to consume for the baby’s development. It also is rich in Vitamin A, which is through beta-carotene, and that means that form of Vitamin A is not only safe but is necessary to consume so that your baby’s tissues, eyes, and brain develop well. 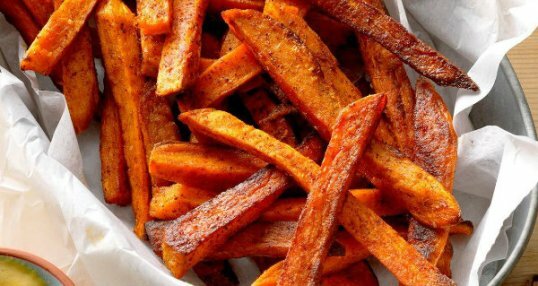 Sweet potatoes also contain a lot of fiber which will help you fill up fast so you don’t over eat. You can have sweet potatoes and beans as well as they are a healthy combination. Beans and legumes such as chickpeas, kidney beans, peas, peanuts, and lentils are an excellent source of fiber, calcium, folate, magnesium, potassium, and iron which you need during your pregnancy. You need the extra iron to prevent anemia. And, the folate you need as well to help prevent neural tube defects. You must also take a folic acid or folate supplement as well in order to maximize the chances of your unborn baby not having any serious neural tube defects. In fact, a tasty dinner would be chickpeas, a baked sweet potato, and salmon. Many pregnant women are terrified to eat fish because they are concerned about the high mercury levels which can harm your unborn baby’s nervous system. 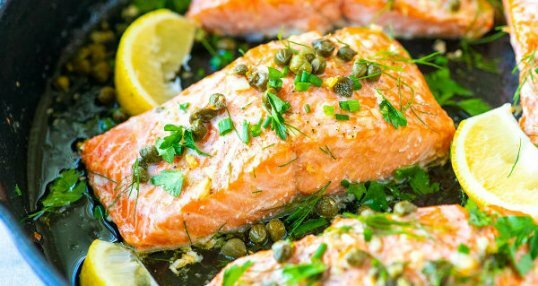 However, salmon is very low in mercury levels to the point that it won’t cause harm, and it is high in very important fatty acids such as the Omega 3 fatty acids, and EPA and DHA. These fatty acids are very important to consume because it is extremely beneficial for your unborn baby’s brain and eye development and is one of the best healthy foods to eat when pregnant. However, even though salmon is a low-mercury fish, it has some pollutants so it is best to not eat it more than 3 times a week. You can also take Omega 3 supplements which is what many pregnant women do because they either are turned off by fish or they are afraid to eat fish. However, salmon in moderation is not only safe but recommended. Other low-mercury fish such as trout, shrimp, tilapia, sardines, and mackerel are also safe to eat and have plenty of Omega 3 fatty acids as well. However, salmon also has a fair amount of Vitamin D which is also important to consume because it helps strengthen the immune system, and it is important to have in your system in order to help absorb calcium that your body needs! So why not have a salmon dinner and add some green leafy vegetables as well to the plate? Dark leafy green vegetables are broccoli, kale, Brussel sprouts, spinach, Romaine lettuce, and asparagus, and they are loaded with important nutrients that are essential for your baby’s growth and development. They are rich in Vitamin A, Vitamin C, Vitamin K, folate, iron, potassium, and fiber. All of these nutrients are important for your unborn baby’s health, and tissue and cell development, and the iron is necessary to prevent anemia. The fiber is great as well because it gives you a feeling that you are full which will prevent overeating. So if you want to create a tasty meal, you can add spinach and salmon to an egg omelet. 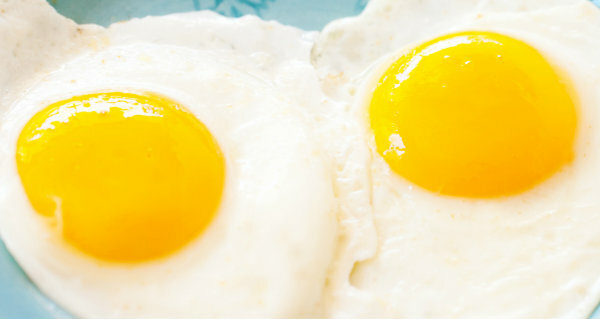 And, speaking of that, eggs are also one of the top healthy foods to eat when pregnant. Eggs are one of the best foods to eat during pregnancy because they contain every bit of nutrient you need as well as choline. Choline is an important mineral that will help the development of the unborn baby’s brain, and the other great thing about eggs is that they are packed with protein and healthy fats, and are only 77 calories each. Just keep in mind that when you eat eggs during pregnancy, make sure that they are cooked very well. Scrambled eggs and hard boiled eggs are fine to eat. However, don’t eat soft boiled eggs, or sunny side up eggs because they are not cooked through very well, and that means that they could host some harmful bacteria such as salmonella. Salmonella poisoning may make you sick but it is very harmful to your unborn baby. Eggs are definitely a superfood when it comes to pregnancy, but make sure they are cooked through! You can also increase your protein intake by eating lean meats. Learn poultry, beef, and pork are an important part of your diet because they are rich in protein, B-vitamins, choline, and iron that you need to reduce your chances of becoming anemic. If you are a vegetarian and you don’t want to eat meat, then you will need to take supplements that contain these vitamins. Just make sure that whatever meat you eat is cooked through. Meat that is raw or not cooked thoroughly can host harmful bacteria such as listeria, salmonella, and E.Coli. If you consume it, you would become ill but your unborn baby could be harmed. If you want to have a lean piece of beef, you can enjoy it with some whole grain bread and have a sandwich. 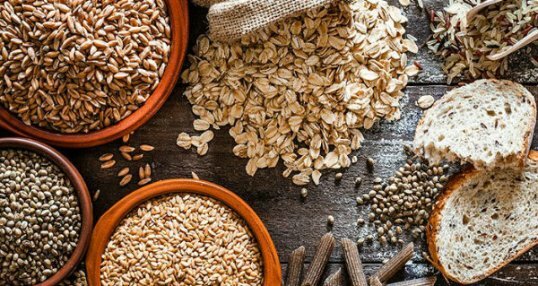 Don’t confuse whole grains with refined grains and sugar. Because whole grains will slowly release the energy you need which will not tax your pancreas. Therefore, you will not be at risk for developing gestational diabetes for eating whole grains each day. That can be bread, cereal, crackers, oats, or quinoa. They contain some protein and many important vitamins like zinc, B-vitamins, and magnesium which are needed to help the unborn baby develop well. Why not add a slice of avocado in the sandwich as well to increase the nutritional benefits even more? Avocado is a superfood, and it contains a lot of monounsaturated fatty acids which is important for the baby’s brain and eye development, and hormone regulation. There is a lot of folate, Vitamin E, Vitamin K, and Vitamin C, and other minerals like copper that you need as well to support the developing baby. It helps with their skin, brain, and tissue development. And after the sandwich, why not have some fruit, especially berries for dessert? Berries and other fruits are an excellent food to eat during pregnancy because it is high in Vitamin C which helps strengthen your immune system, and helps repair tissue as well, and is great for cell development. 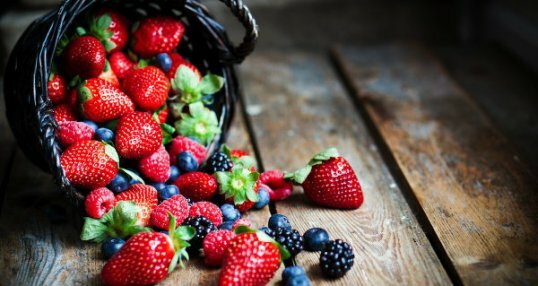 Berries are also very high in antioxidants which will also repair damaged tissue and is great for the tissue development of the unborn baby. You can even have some berries with dark chocolate. Don’t get too excited but dark chocolate that is at least 70% cocoa which means it is low in sugar and other additives that are not healthy. But the occasional dark chocolate such as one piece or one small square a day is a good idea to consume. Dark chocolate is high in antioxidants, which means it will help with the tissue development of your unborn baby and will keep your immune system strong as well. Milk chocolate is considered to be junk food because it is processed and high in sugar, and low in cocoa which is what you need. However, you can limit junk food to once a week, and keep it in moderation. Making sure you are eating healthy foods when pregnant is important. Be sure to eat your meals and snacks with plenty of water. In fact, it is important to have at least 6 glasses of water a day. That is because you need to make sure you are properly hydrated to help keep your circulation going, and it is important for the baby. Being properly hydrated will help reduce nausea as well. Now that you know what foods to stock up on during your pregnancy, it is time to go shopping! 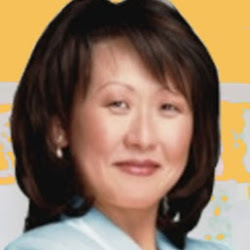 And don’t forget to take your prenatal vitamin each day, and your folic acid supplement as well. Good luck with everything!